This residential development is a proposed conversion and additions scheme to an existing commercial development also undertaken by Paragon for Zenprop in 2002. The design offers 210 units ranging from 41 - 200 sqm over twenty floors. Lifestyle amenities on variouslevels make this a unique development located on one of Sandton’s main arterials, Fredman Drive. Public transport is easily accessible, making this a perfect location for residential units. The concept aimed for spacious units with a lifestyle component, with north and south facing units offering views over the city. 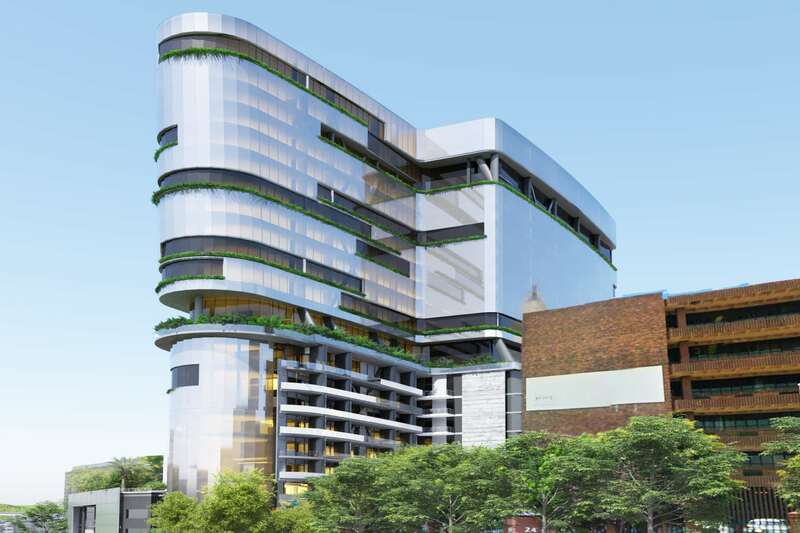 Structurally, an exoskeletal structure was proposed in order to add an additional 12 floors to the existing building. Where structural transfers needed to happen, executive levels with large garden spaces can be found.